When it comes to the appearance and the atmosphere of your home, almost nothing is as important as your paint. 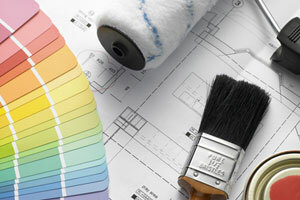 At Artisan Painting and Decorating, Inc., our professionals are fully dedicated to creating the perfect mood in our customers' homes while improving their appearance by providing quality painting and finishing services that are custom designed to match their homes' interior design as well as their personal tastes. All of our professionals have extensive training and experience, and we can always guarantee your complete satisfaction with all of the work that we provide. 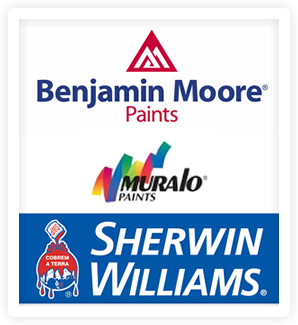 Our professional Plymouth painting contractors work closely with all of our clients to custom design their painting projects and make sure that every goal they have for the project is met. Our only goal is to help you transform your home into a place that is more comfortable, relaxing, and attractive. Painting your home, whether inside or out, is a huge job, and it's very important that you know it's being done well. Painting your home will increase its resale value and make it more attractive, and when you rely on our professionals, you'll be getting a high quality job that you'll be able to enjoy for years. When your home's exterior is being painted, it's very important that the paint is properly applied so that it bonds as well as possible. This will ensure that your paint won't crack, peel, or fade while it's under constant pressure from weather and the elements. Our residential painting contractors in Plymouth use high quality paints and sealants to guarantee a durable and long-lasting exterior paint job, and we can also pressure wash your walls before we begin painting if it's necessary. During an interior paint job, we'll help you select the perfect colors, textures, and finishes, making sure that the new paint is a perfectly integral addition to your home's interior design scheme. Our high quality craftsmanship will ensure an excellent final product. The decorative finishes in Plymouth that we provide can help you add a distinctive and beautiful look to any room in your home. Our professional painters use innovative tools and techniques to create beautiful finishes that will enhance your home's appearance and create an atmosphere that you and your family will love. We'll work with you directly to decide on the perfect finishes and textures for your Plymouth home, and we'll use only the highest quality products. We can help you create a modern or a classical appearance with your finish—our finishes are totally customized to your tastes and your home. We'll do whatever it takes to ensure that you're completely satisfied with the entire project. If you're looking for a painting contractor in Plymouth, call Artisan Painting and Decorating, Inc. at (617) 947-0524 or (617) 548-3649 or complete our online request form. "These guys did a great job on wallpaper removal and prepping walls for painting. Not only did Brian show up promptly for the initial estimate but he was gracious enough to wait until I could get into my house as we had key issues in a new house. Their 2 man team was able to complete the job in kitchen, bathroom and 2 bedrooms in under 2 full days. They were attentive to many patching issues and made sure I was satisfied with all work throughout the process. Nicest of all was the very thorough clean up job they did prior to leaving on both days not just when the project was complete. I would highly recommend them for any work they offer."